Bharathi Cement was awarded the “Business Leader Award 2015” organized by TV5 Media Group on 25th April’15. 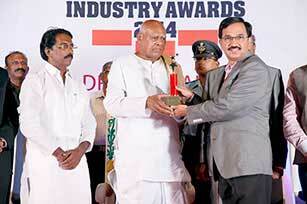 The Award was presented by K.T .Rama Rao, Hon’ble Minister of Panchayatraj and IT, Government of Telangana State. Bharathi Cement was awarded for “Excellence in Hi Tech Cement Technology” for Quality & Branding during the year 2014. The award was presented by Dr. K. Rosaiah, Governor of Tamil Nadu on 24th Jan ‘15. AIBDA, is an apex body that organizes National and International level seminars to promote socially responsible business practices and sustainable development. The International Gold Star Award was presented by V.V. 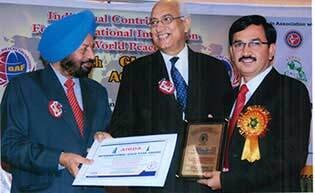 Soni, Ex-Ambassdor of India to UAE and Joginder Singh, Ex-Director-CBIAt a grand function held in Dubai in November 2013. 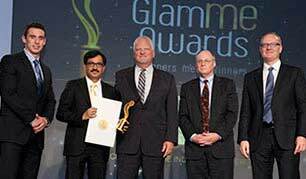 The Glamme Awards was presented to Bharathi Cement on 25th June ’13 at Venetian Hotel, Las Vegas, U.S.A. 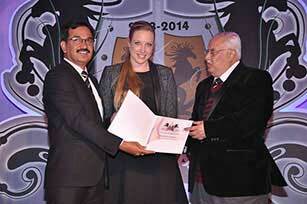 The Power Brands Raising Star 2013 Award has been conferred to Bharathi Cement Hyderabad by organizers. M. Ravinder Reddy was awarded as an inspirational leader of New India 2013 for his outstanding entrepreneurship and contributions.